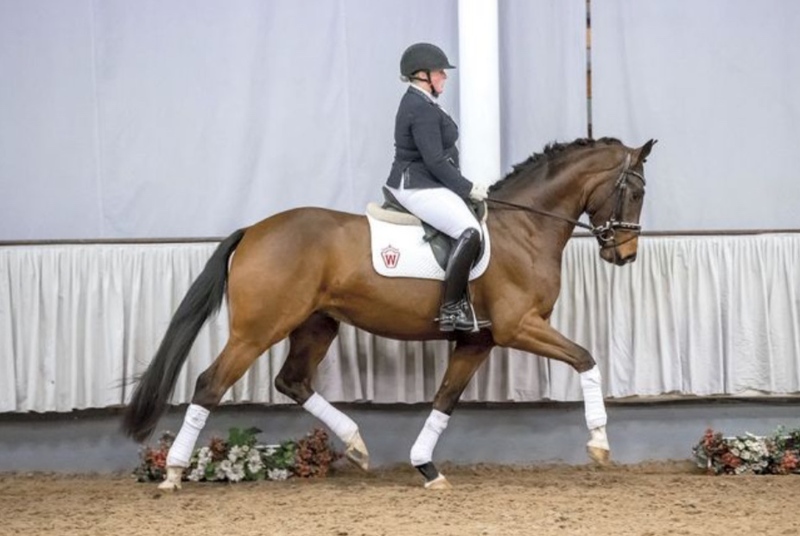 From the video presentation you can find H2R favourites here, and from the live presentation three more young horses showed themselves with some extra qualities. No 61 by Sir Heinrich / Expansion / Florestan showed herself very nicely at the presentation, sensitive but looks like an interesting horse for the future. Click at the photo to watch the presentation. No 10 by Franziskus / Rock Forever I / Ferragamo well moving in both trot and canter, shows some tensions for the walk, but also an interesting horse for further education. No 3 by Diamond Hit / Florestan I / Brentano II - easy off the ground showing super qualities for the future including a super walk. You can watch the entire live presentation via Clipmyhorse here.